Brief psychotic disorder is a short-term illness with psychotic symptoms. A person with this disorder may experience symptoms that come on suddenly but last for less than one month. 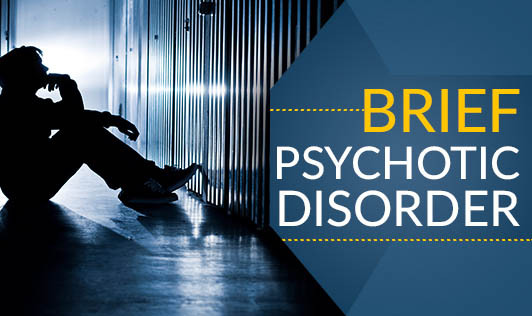 • Brief psychotic disorder with obvious stressors also called brief reactive psychosis: This occurs in response to trauma or major stress such as death of a loved one. • Brief psychotic disorder with postpartum onset: This occurs in women usually within 4 weeks of having a baby. • Brief psychotic disorder without an obvious stressor: In this type, there is no evident stress or trauma that causes the illness. This disorder lasts for less than one month, although, some people may have recurrent episodes of psychotic symptoms, but this is rare. If you experience any of the symptoms mentioned above, see your doctor for a proper diagnosis!